Thomas P. Carlson | Carlson & Associates, Ltd.
Tom is the founding shareholder of Carlson & Associates, Ltd. Tom’s practice areas include community association law, municipal law, insurance defense, subrogation, employment law and general litigation. Tom’s clients include condominium, townhouse and cooperative associations, property management companies, municipalities, insurance carriers, contractors, small businesses and individuals. Practicing extensively in the area of community association law, Tom has represented hundreds of condominium and townhouse associations throughout Minnesota in all matters, including collection of assessments, lien foreclosures, construction defects, document enforcement and revisions. He has authored several articles and regularly presents seminars regarding community association law topics. Tom has represented clients in a wide variety of litigation matters, as well as appeals to the Minnesota Court of Appeals, the Minnesota Supreme Court and the Eight Circuit Court of Appeals. He is licensed to practice in all Minnesota State and Federal Courts, the Eighth Circuit Court of Appeals and the United States Supreme Court. 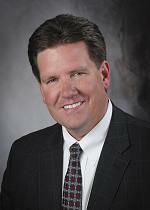 He has been named a Minnesota Super Lawyer.